Many challenges are cropping up for healthcare providers in light of trends which are currently flooding the scene. Consumer-directed healthcare, increasing patient payment amounts, pay-for-performance programs and bundled payment programs, are just a handful of developments with the potential to lead to big changes for professionals and patients alike. It's becoming clear that healthcare practices will need to adopt next generation revenue cycle management systems in order to stay current and profitable. These systems can also serve to streamline tasks and processes which currently call for untold numbers of staff hours. Real-Time Information - It's critical that any system be as kept as current as possible. Older revenue management systems might not be able to keep providers up-to-date on policy changes and other critical developments on the part of insurance companies, which could result in much wasted time and effort in the form of denied claims. 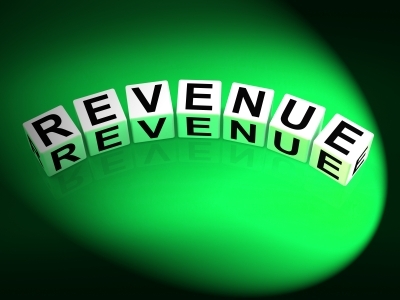 Next generation revenue cycle management must feature the ability to provide such information on a real-time basis. This will also prove beneficial to the patient, as any questions they have regarding the amount of coverage provided by their insurance carrier can be answered accurately even at the point of care. Financial Features - It's important that both the provider and the patient be aware of the financial obligation incurred as a result of treatment. Ideally, next generation revenue cycle management systems will make it possible for the provider to inform the patient of their financial responsibility in advance, and to design a treatment plan which will make it as easy as possible for the patient to handle that responsibility. The payer's policies will be clearly outlined for the provider to review prior to ordering tests or procedures, in order that treatment may fall in line with those policies. This also proves valuable when it comes time to write prescriptions, and avoids surprises on the part of the patient when they discover that a new prescription isn't covered under their plan. Exception-Based Workflow - Outdated revenue management systems require untold amounts of manpower to operate and implement. Reports must be developed and run, payers must be contacted by the collector in order to check the status of a claim, etc. When exception-based workflow is built into next generation revenue cycle management systems, however, the system can automatically submit inquiries, and is able to prioritize tasks so staff members can address the highest level accounts first, rather than wasting time figuring out which accounts/tasks should take priority. Virtual Office Functionality - Another area where manpower is most commonly used is claims processing. This multi-step process is rather labor-intensive and leaves much room for error. Next generation systems cut out the middle man by performing all claims-related processes in the background and on a continual basis. This cuts down on lag time, hours spent laboring over processing and potential errors which result in even more wasted time and effort. Online Functionality - It would seem like a no-brainer that patients would want an enhanced online experience when it comes to their care, and yet many providers do not yet offer such opportunities for their patients to take a more proactive role. A next generation revenue cycle management system should ideally include online functionality which will allow the patient to perform such tasks as scheduling appointments, estimating their financial responsibility, even online bill payment and account management. This will go a long way toward patient satisfaction.